You’re only going to see this page once (ever), so please read every word very very carefully. Thanks for registering for the Bridal Extravaganza. As our gift you you and friends that are getting married, we’d love to give two free tickets & VIP admission to up to three friends who are planning a wedding and “Wedding Savings Revealed” for you. 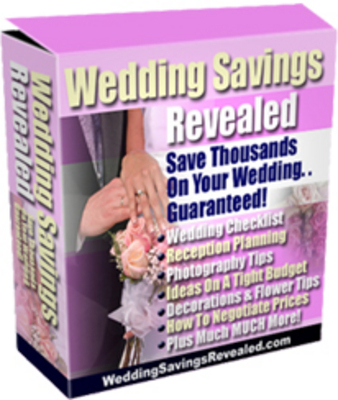 Your friends will get to save money and as a thanks you will get instant download of “Wedding Savings Revealed”. For Friends that are Getting Married: Just simply Fill out the form below to send two free tickets to up to three friends who are planning a wedding. When you send two tickets to a friend, your friend will receive an email for two free tickets and VIP admission. Don’t know anyone getting married? That’s OK, just select the Facebook option below to get your “Wedding Savings Revealed” instant download. STEP 2: After You Fill Out Below, return and Click HERE to go to the Confirmation Page to Print Your Tickets. I would rate this a 10, great door prizes available. I enjoyed the fashion show, many vendors. I would rate this a 10, great door prizes available.